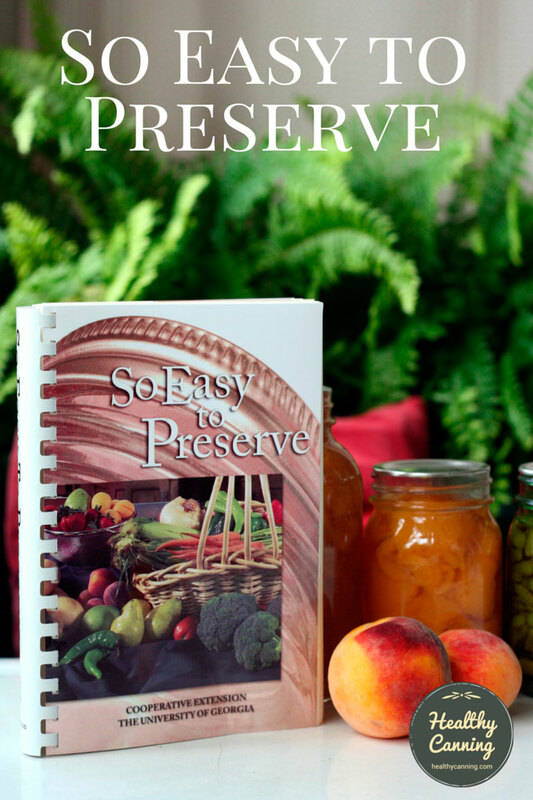 “So Easy to Preserve” is one of the best, if not the best, canning books out there today. 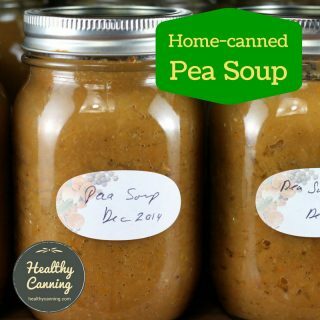 If there is a bible of home canning, this is it. First published in 1984, it has been updated regularly over the years. As of 2016, the most recent edition is the Sixth Edition, published in 2015. The authors are Elizabeth Andress and Judy Harrison. It’s published by the University of Georgia Cooperative Extension. 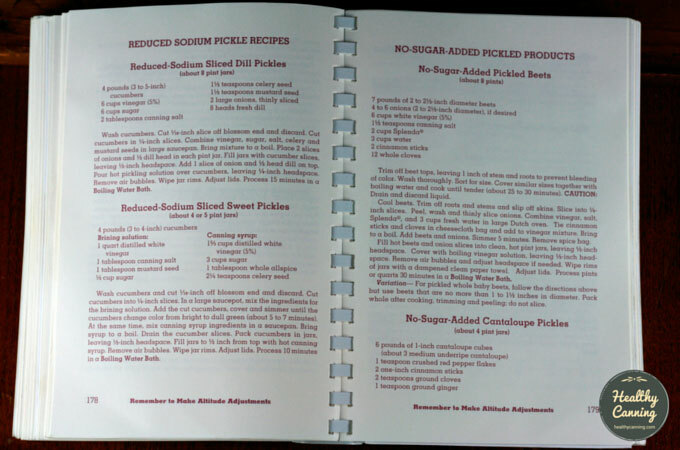 The book has 195 recipes, and 388 pages in total. Each chapter has a pocket flap page in which you can store your own notes and clipped out recipes. The book has a decidedly southern flare to it — rabbit, squirrel, and hominy anyone? 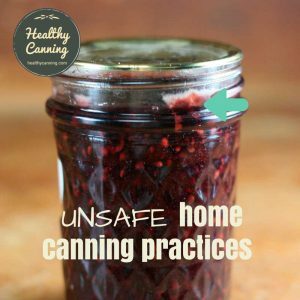 — but will delight any home canner from Vancouver to Auckland. NOTE: This book can be very hard to obtain outside the continental US, owing to postal delivery policies set by the administration at the University of Georgia. See also: So Easy to Preserve Video Tutorials. 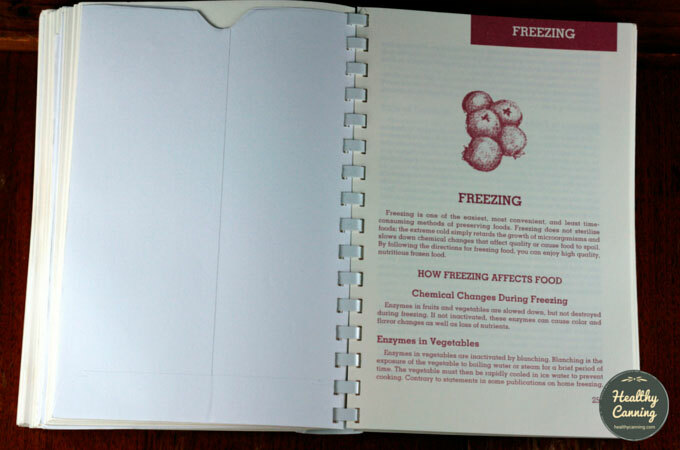 So Easy to Preserve just happens to also be So Easy to Use, with its spiral binding and wipe-clean cover. The generous-sized typeface is a pleasure to read, and the purplish-brown print on beige quality paper is very easy on tired eyes. The book lays out flat on a counter, and thanks to the spiral binding, stays effortlessly open to the pages you are working from. 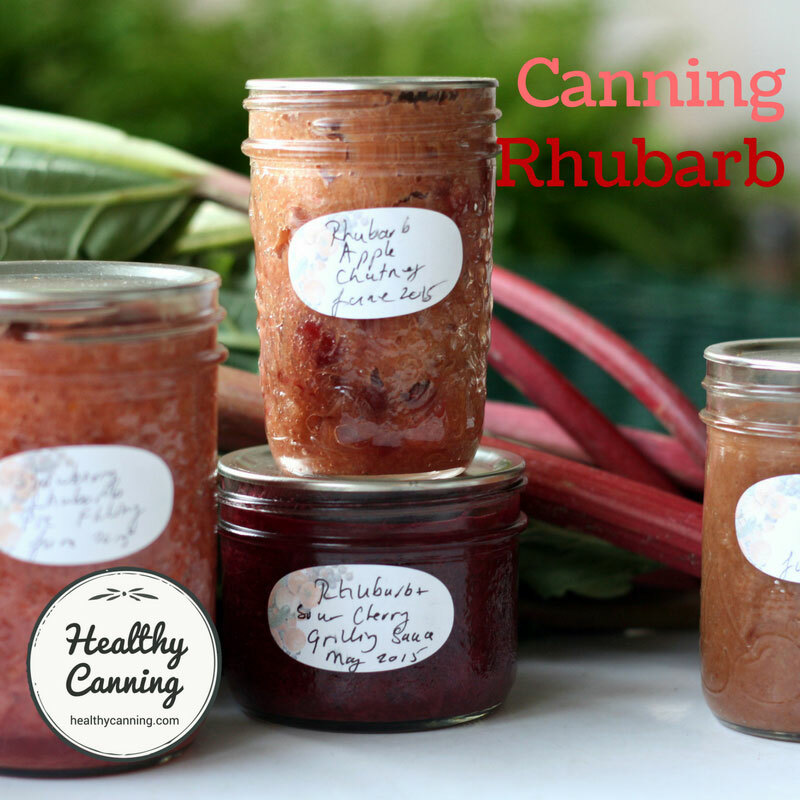 The only other canning book that is as easy physically to work from in the kitchen is the Ball / Bernardin Complete. 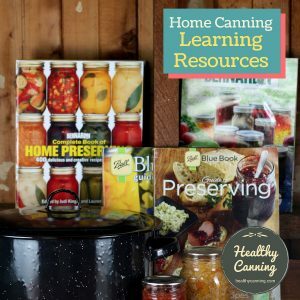 At its core, So Easy to Preserve shares some of the same recipes as the USDA Complete Guide to Home Canning, and that’s not an accident: the two books over time have shared many of the same authors. But So Easy expands on the USDA Guide greatly, adding substantially more recipes. 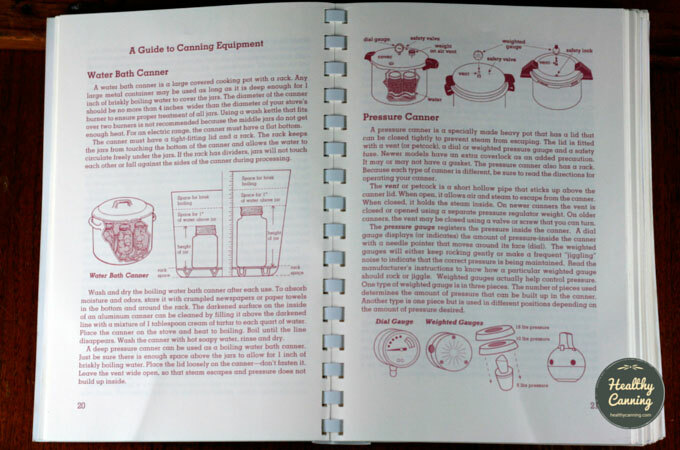 It’s only in this book that you will get research-based directions for pressure canning plain onions, black-eyed peas, fresh butter beans, fresh soy beans, and peanuts, as well as water-bath canning fruits such as mango and papaya, and a host of other crowd-pleasing recipes such as Apple Chutney, Ice Water Pickles, Kosher-style Dilled Green Tomatoes, Rummage Relish, Spiced Crabapples, etc. There’s even directions for home canning baby food. The recipes are deceptive enough that a foodie might initially — and mistakenly — sniff at them. The ingredients are often few and simple, but the flavours of the end products are fantastic. 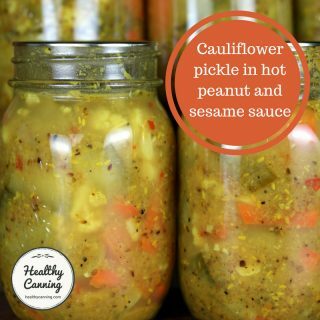 Recipes with unpromising names such as “Fall Garden Relish” will knock your socks off when you open your first jar of it – how did the flavours stay so clean yet get so complex with just a few all natural ingredients? Jaded foodie cynics will get the biggest wake-up call ever from these simple, time-tested southern recipes. The recipes really highlight the produce and let it sing. It has a handful of low-sugar and low-sodium recipes; elsewhere, one of the authors / editors has expressed a desire should the time and funding ever present themselves to explore that topic more in depth. 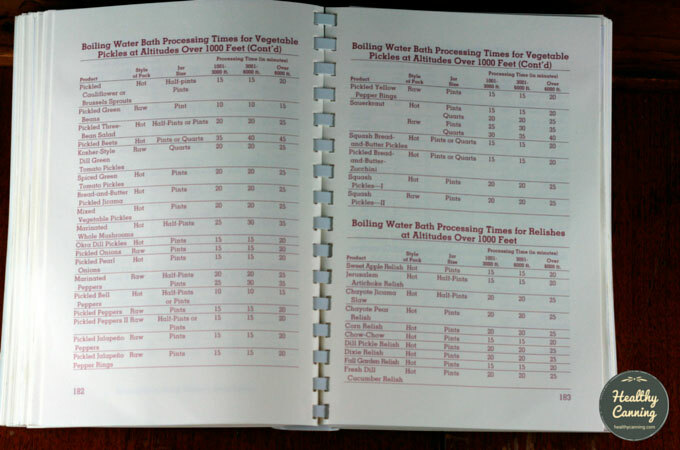 While other recipe books tell you to adjust processing time or pressure for altitude, and then direct you to a general table, So Easy to Preserve does all the calculations for you in handy, make-no-mistake tables. 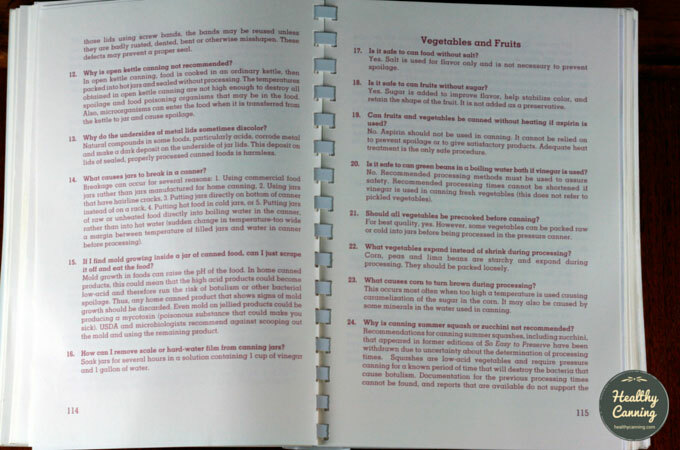 Perhaps some of the most rewarding pages in the book are the various Frequently Asked Questions sections interspersed throughout the book. 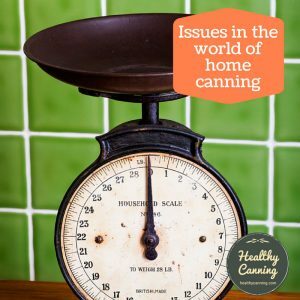 On these pages, the authors draw back the curtain, with honesty and frankness, on the reasoning behind some of the home canning recommendations that people often wonder about. 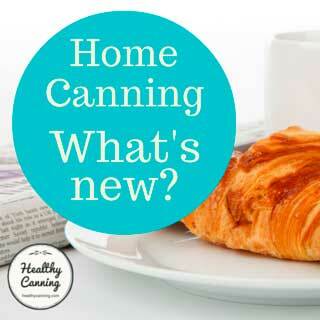 The authors are at the centre of home canning research in the world today, and share their knowledge freely. They are also refreshingly honest about when something is just not known, and what that means. 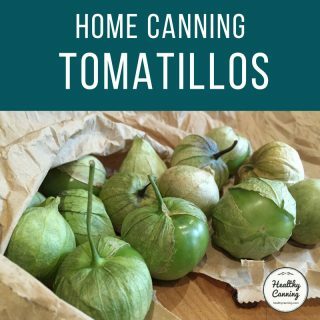 For instance, addressing the topic of why canning plain summer squash and zucchini used to have directions but now is recommended against, they admit frankly that when they went to review the documentation left by the original researchers back in the first half of the 1900s, they simply couldn’t find it. Some modern tests done showed actual dangers, so at the present time, it is now recommended against. A question and answer section. 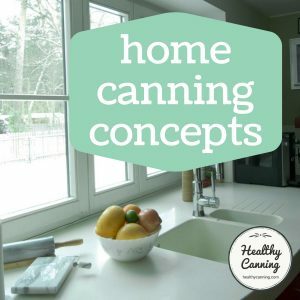 Any home canner is also going to want to freeze some stuff that can’t be canned, and So Easy has thorough, handy freezing information including blanching times for all the basics. There’s also steam blanching times for many standard vegetables — useful for people who need or want to conserve water. 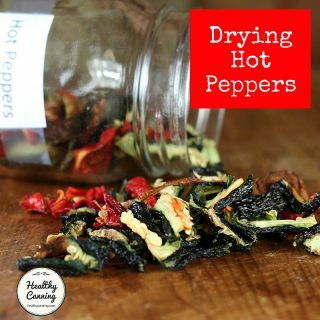 There is also a section on dehydrating foods. For beginners, this book is a gold mine. There’s 38 pages at the very start of the book of general information. On top of that, the start of each section in the book has detailed background information on that section’s content as well, to help a beginner absorb the why’s and wherefore’s. Pocket flaps let you store your own notes and clippings right in the book. You can also order an instructional two DVD set that goes along with the book. 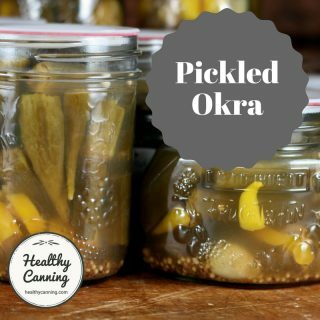 Advanced canners will want to skim through that beginner’s information, to see if there are tidbits they didn’t know yet — such as why are things such as grape leaves no longer needed to firm pickles up. 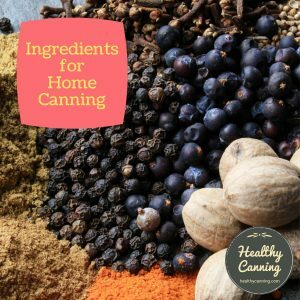 Beyond that, advanced canners will love the crisp brevity of the recipe directions. 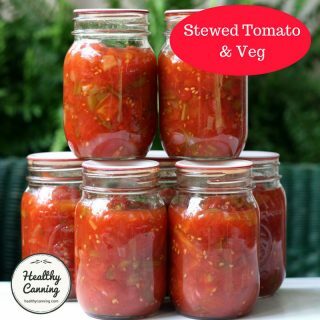 You will never out-grow this book; it’s a good all-round reference book that will grow with you in your home canning. This book doesn’t have metric or weight measurements, nor does it have any “ethnic” recipes aside from recipes for salas. It also doesn’t have any nutritional information. It doesn’t have any photos, though it has charming, well-executed illustrations in the how-to sections of the book. The only thing So Hard about So Easy can be getting a copy of it. Most sales are handled by the University of Georgia; the department handling it seems like something Mr Bean would have organized. Ordering from the continental, contiguous United States: you can order from the University of Georgia So Easy to Preserve page. Ordering from Alaska, Hawaii, or the U.S. Territories: You actually have to phone first ( 1+706-542-2956 ) the University of Georgia department handling the sales during their business hours (you will often just get voice mail anyway even if you do) and get them to set up a special quote for you for additional postage. And even when you do get that far, you may find your order just mysteriously cancelled or ignored. Ordering from any other location: As of sometime in fall 2017, the University of Georgia stopped taking any international orders. But, you can order a copy from Tattler Lids. We have verified as of November 2017 that they are stocking the most recent 6th edition (2014). Tattler will let anyone in the world buy a copy, wherever they are. 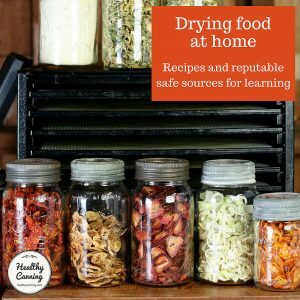 Here’s a link (valid as of November 2017) to an order page for So Easy to Preserve on their site.